Great for coffee tables! Love it! 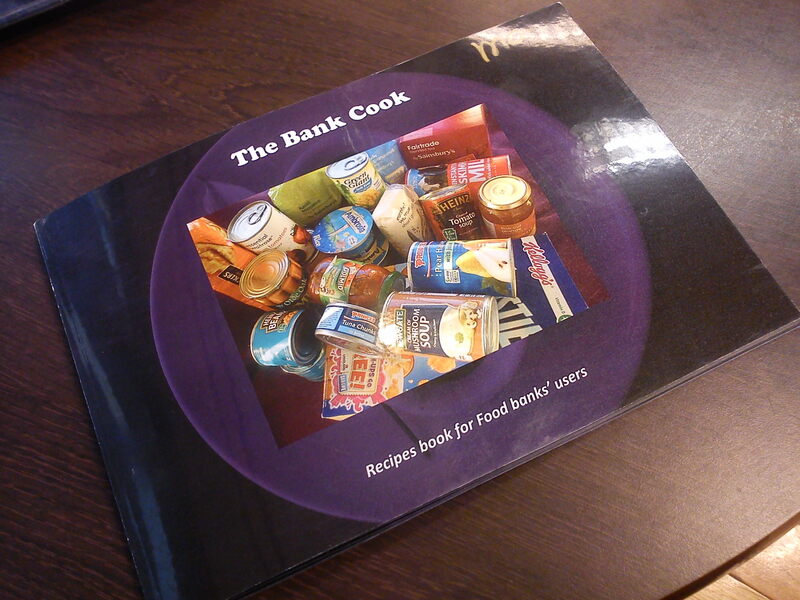 The Bank Cook Book was created with all food banks’ users in mind. 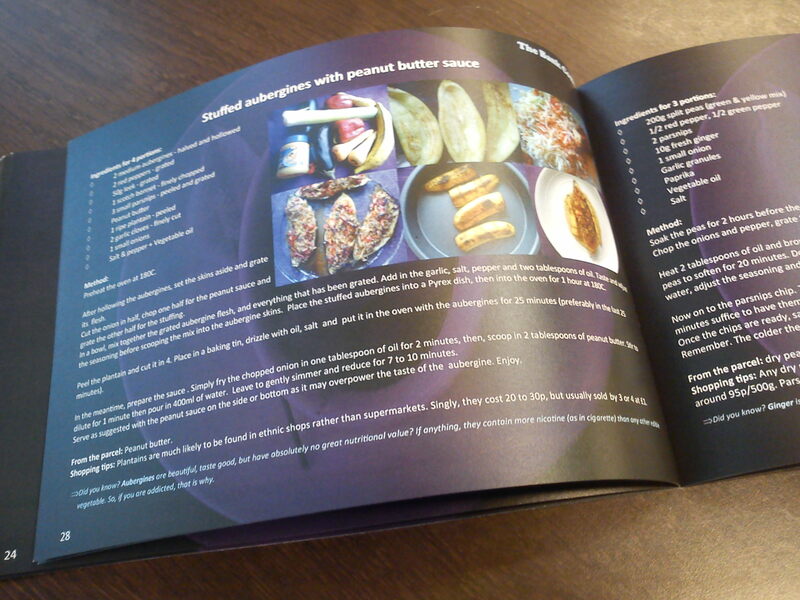 The recipes are free to reproduce and copy. So, if you receive food parcels, this is for you! 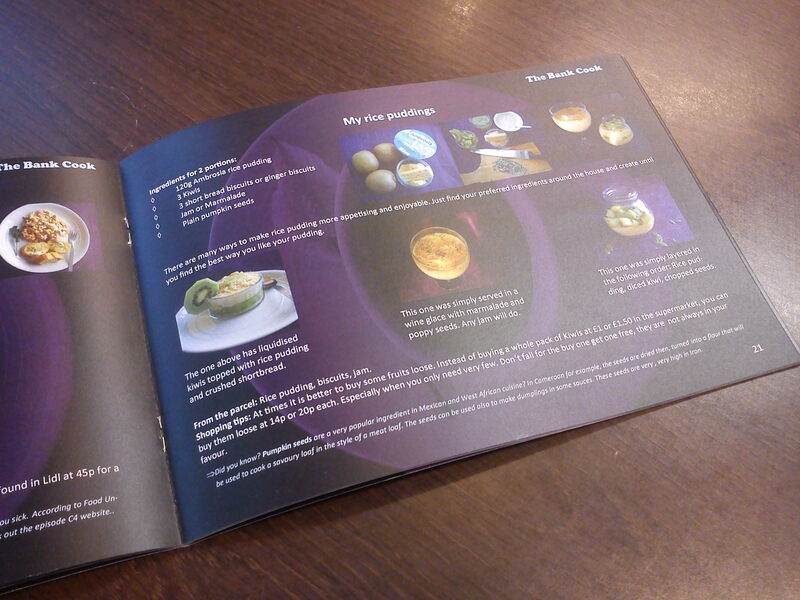 Please request a copy (PDF) of the recipes book for free or collect it where you receive your food parcels from. If your provider doesn’t have a copies to distribute, they can request a high resolution PDF or simply download from here for the original version and have it printed for free. The background-free version is also available from here. Get your local food parcel provider to contact me at nashjulie9@gmail.com, fill in the contact form below or tweet me @hjulienne. Very nice blog! I nominated you for the one lovely blog award.